In a recent article in The ACHR News Matthew Neidlinger reviewed the multiple benefits that contractors and wholesalers can get from compressor electronics. An excerpt is below, along with a list of the Top 10 Benefits of Compressor Electronics. “By sensing, monitoring, and interpreting electrical and mechanical information, compressor electronics allow contractors to monitor the HVACR system on an ongoing basis. The detailed compressor and system information it delivers enables quick and accurate identification of performance issues for greater reliability and cost savings, providing freedom to refocus time and money on other priorities. Demand, temperature, and operating time. Improved troubleshooting and reduced callbacks. Early detection or warning can prevent compressor failure. Data collection, run time, and fault history. Verify refrigerant charge and proper installation. Active protection drives a reduction in warranty claim costs. Communication to building automation system. Twenty-five years ago The Last Emperor won the Academy Award, gas was less than a dollar a gallon and the U.S. Department of Energy was establishing new efficiency regulations for the HVAC industry. At the time, the industry was using reciprocating compressors in 8 SEER systems. Proponents for the new efficiency standards acknowledged the limitations of existing compressors and it was clear we needed a breakthrough technology that could deliver higher efficiency levels. On November 14, 1987, Copeland officially became the first U.S. manufacturer to produce scroll compressors for use in the residential air conditioning and heat-pump systems. The industry quickly recognized Copeland Scroll™ compressors as the revolutionary leap in technology needed to achieve the efficiency levels required by the government. Fast forward to today. The minimum standard is now 13 SEER, although manufacturers, still using Copeland Scroll technology, are producing AC and heat pump systems that surpass 20 SEER. The technology that helped revolutionize an industry 25 years ago is still going strong; over this period Emerson has produced 100 million Copeland Scroll compressors in nine manufacturing facilities spanning three continents. As we have celebrated our milestones these past few months, the most exciting conversations I’ve had with manufacturers and contractors are focused on where we’re going with the future of scroll technology. Copeland Scroll compressors continue to play an important role in improving efficiency in the industry. We see modulating technology as a key part of our present and future strategy to offer high energy efficiency without compromising comfort. And compressor electronics, including Emerson’s innovations, are becoming critical as we look to use the compressor as a sensor to offer enhanced diagnostics, communication and protection capabilities. I’m proud to have been part of the team that brought Copeland Scroll technology to market. 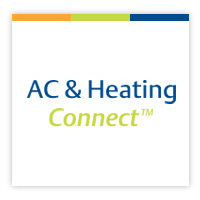 The industry was at a turning point and we knew we had developed something that would change the future of HVAC.